We offer sandblasting services for your do-it-yourself projects, as well as in-house for powder coating preparation. Sandblasting is a general term used to describe the act of propelling very fine bits of material at high-velocity to clean or etch a surface. A sandblaster shoots abrasive material at high, medium or light velocity to remove paint, dust, oil and dirt. It is used to prepare the surface for sealing or painting, and may also be used to refurbish the original appearance of surfaces. Sand is the most commonly used material. Other materials that can be used are steel grit, copper slag, walnut shells, powdered abrasives, even bits of coconut shell. Here at PowderCoating USA, Inc. we use ONLY SAND for sandblasting. When painting, one doesn't want to trap dust, dirt, or bubbles in a previous layer of paint, or other imperfections under the new layer. By launching small bits of abrasive at the surface at a high, medium or light speed, all imperfections are knocked loose and can then be easily washed off, creating an incredibly smooth surface upon which to lay the new layer of paint. Sandblasting may also be used for such projects as cleaning the hulls of ships or large structures such as the Golden Gate Bridge. Sandblasting is performed on virtually ANY metal object, from patio furniture to car parts, and creates a smooth surface due to the abrasive qualities of the sand. After sandblasting, the metal object has been thoroughly cleaned to remove all traces of dirt and grease and is prepared for powder coating. 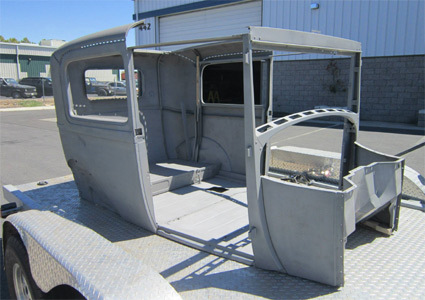 Sandblasting is performed on virtually any metal object, from patio furniture to car parts, and creates a smooth surface due to the abrasive qualities of the sand. 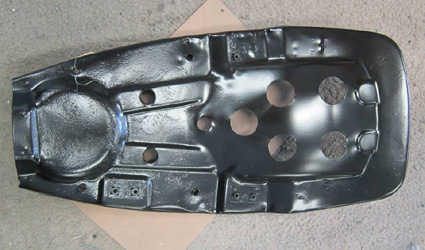 After sandblasting, the metal object must be thoroughly cleaned to remove all traces of dirt and grease as well as residual traces of sand that will interfere with the powder. In decorating glass, sandblasting is a wonderfull technique, with few substitutes. While hand-etching is possible, it is incredibly time consuming and expensive, and laser-etching has a range of flaws which make it a questionable choice. There are two main ways in which sandblasting is used to decorate glass: etching and carving. Sandblasting can resurface or shape wood in minutes. It's efficient, but is typically done only by professionals. It requires a steady hand with deliberate, dedicated motion. Sign makers and woodworkers use sandblasters to weather wood for special projects, blasting away soft grain to make the wood appear as if it has been floating around in the ocean. Others use sandblasting to strip wood of paint or old finishes. Sandblasting is a great preparation method for Powder Coat. When powder coating, it is very important for the item you are coating to be completely clean of oils, dirt, paint, rust, corrosion, and damaged plating (zinc, nickel, chrome, etc.). 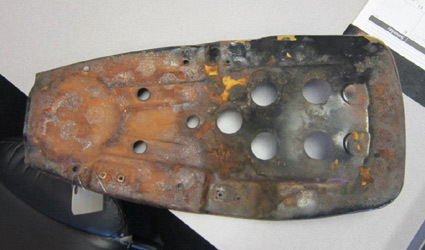 These are before and after photos showing the motorcycle seat before sandblasting and after powder coating. 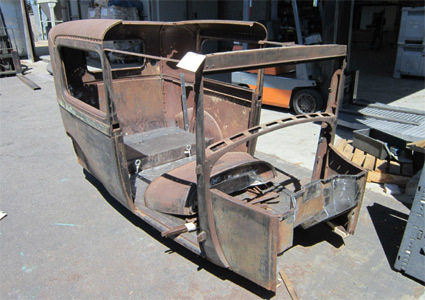 Before and After photos of a vintage car body.